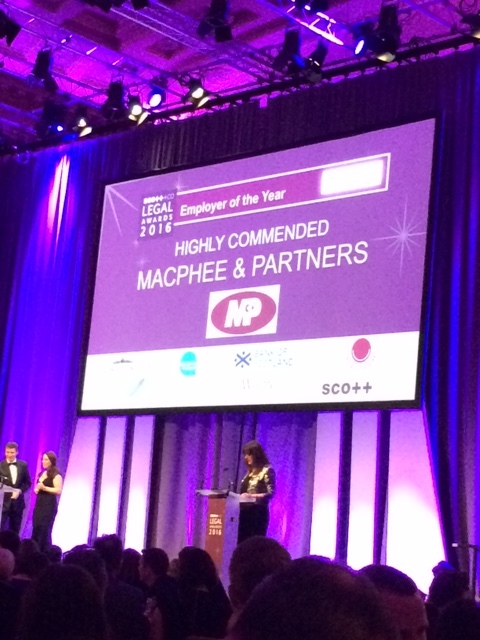 MacPhee & Partners were delighted to receive a Highly Commended Award at last week’s Scott + Co Scottish Legal Awards 2016, for Employer of the Year. The winners were announced at a black tie awards dinner on Thursday 24 March 2016 at the Assembly Rooms in George Street, Edinburgh. The decisions on the winners had been agreed by a 12-strong judging panel chaired for the first time by Shonaig Macpherson. 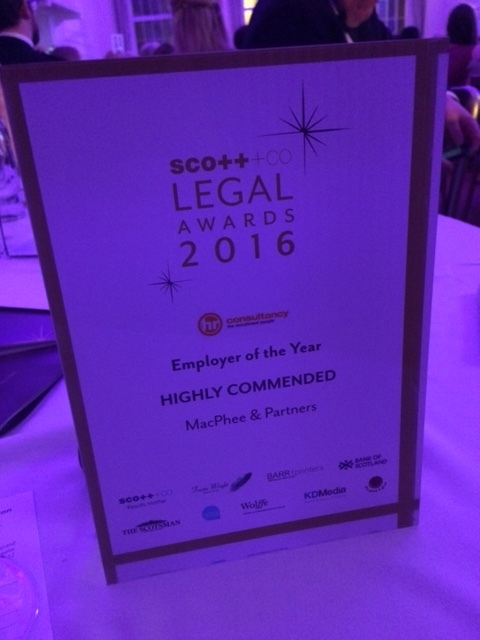 35 firms have been revealed as finalists in the Scott + Co Scottish Legal Awards 2016, the prestigious awards programme celebrated by the Scottish legal profession.